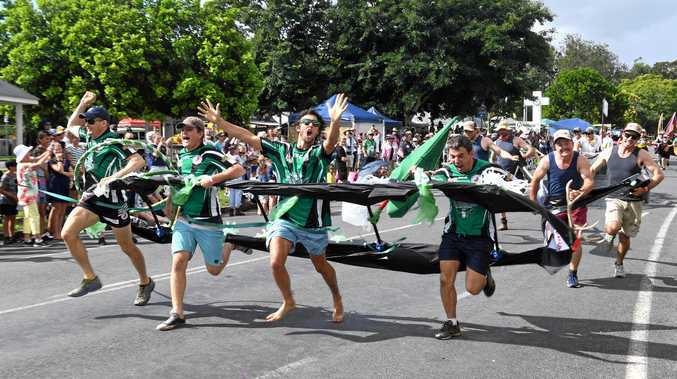 A GYMPIE couple watched a battle of epic proportions unfold on their patio one evening. We’ve all bitten off more than we can chew at some stage but Johannes Solymosi said he was shocked when he discovered what seemed a twist on the normal predator/prey scenario. 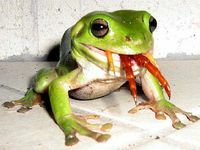 A green tree frog, perhaps tired of eating moths day in and day out, turned the tables on an unsuspecting snake and decided to partake of something a little out of the ordinary. 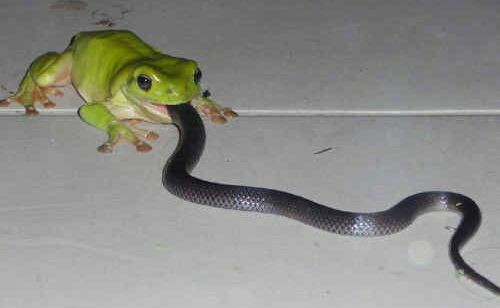 The frog, determined to make a meal of the little crowned snake, was not about to let dinner get away. “The frog stayed in the same position for quite some time,” he said. Grabbing his digital camera, Mr Solymosi started recording the scene. At that point the snake decided to fight back and started to wind itself around the frog’s hind leg. “That’s when the frog panicked because the snake tried to strangle him,” Mr Solymosi said. At this point discretion seemed the better part of valour, he said, and the frog released its ’death hold’, before both combatants went their separate ways.